Despite the awful weather, for the second year running the Projection House “Irish Night” on Friday 22nd March was an outstanding success. Over 60 people enjoyed the feature film, IN BRUGES, a meal of Irish Stew and soda bread followed by dancing to midnight to the acclaimed band WHOLESOME FISH, all of course accompanied by copious amounts of Guinness and whiskey. 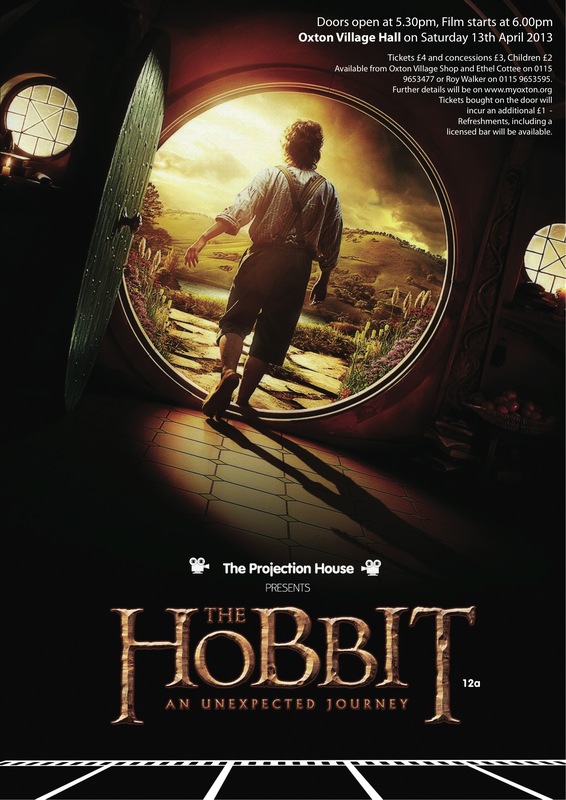 The next event is the showing of the film, “THE HOBBIT: AN UNEXPECTED JOURNEY” on Saturday 13th April in Oxton Village Hall. Doors open at 5.30 and the film starts at 6.00 pm. Refreshments, including Hobgoblin ale, will be available. Tickets, £4 for adults, £3 for concessions and £2 for children, are available in advance from the Oxton Village Shop, Ethel Cottee on 0115 9653477 or Roy Walker on 0115 9653595.